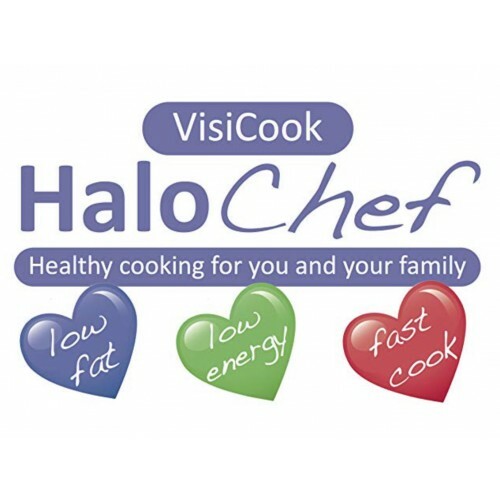 ﻿The VisiCook HaloChef Halogen Oven is unique amongst all other halogen ovens by virtue of its cool surround encasement bowl, helping to keep the heat on the inside and leaving the outside cool. 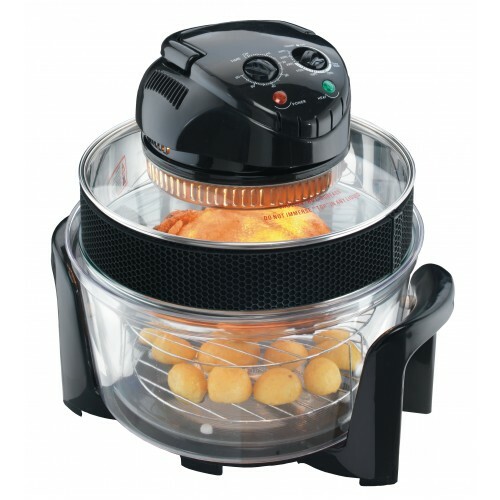 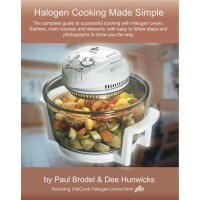 This enhances the heat retention, the VisiCook Halogen Oven cooks more efficiently than all other halogen ovens. 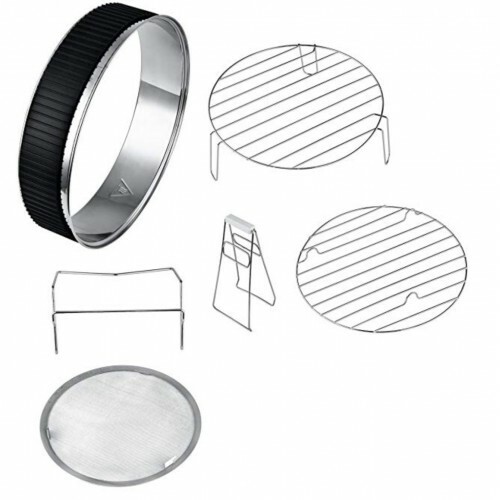 Furthermore, we offer our patented Long Life guard, this fits to the heater shield and helps maintain that sparkling as new look whilst also protecting the heater bulb from food splash, thus prolonging its life. 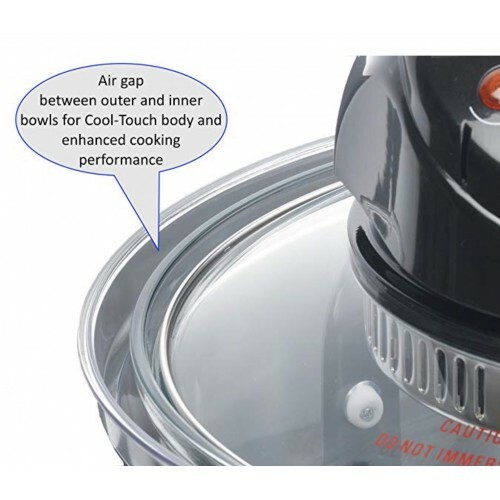 In any case, the heater bulb on ours is - and has been for years, we were the first - user replaceable, so that in the event of heater bulb failure, you can easily replace it for only a modest outlay. It's well equipped with standard accessories comprising 2 cooking racks, safety tongs, lid holder, Long-Life guards, money off vouchers for our recipe book Halogen Made Simple and comprehensive instructions including ready reckoner for cooking times and a delicious Sunday lunch menu to get you started. 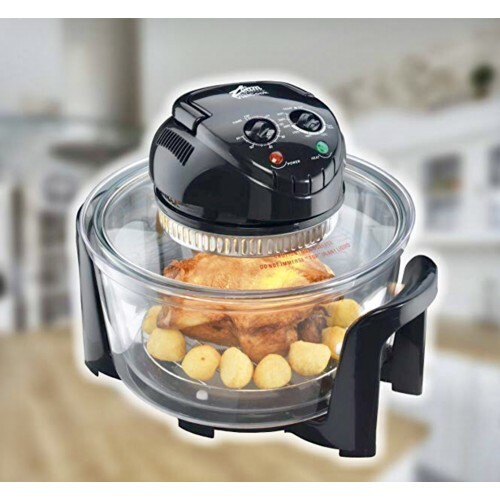 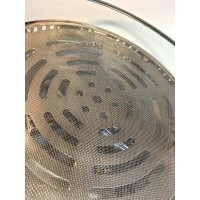 The accessories and virtually indestructible glass bowl are dishwasher safe and we have a UK located telephone Helpline service as well as email support over the weekends.